Chester is accessible to all parts of the UK, with 15 million people and a third of British industry within two hours drive. Planned future investment in the UK’s transport network, such as the HS2 high speed rail link and the second Mersey crossing, will further strengthen Chester’s connectivity. Chester’s proximity to the M53 and M56 motorways provides the city with convenient access to both the regional and national motorway networks, in particular the M6 north-south corridor and the M62 east-west route. The A55 road runs along the North Wales coast to Holyhead and the A483 links the city to nearby Wrexham and Swansea to the far south. Chester Railway Station is one of the busiest North West rail hubs in the region with hourly direct services to London and Manchester as well as offering extensive local and regional services. Chester Railway Station is also well connected to surrounding locations such as Northwich (30 mins), Crewe (20 mins) and Wrexham (15 mins). The nearest airports to Chester are Manchester International and Liverpool John Lennon, which are both approximately 40 minutes by road from Chester. 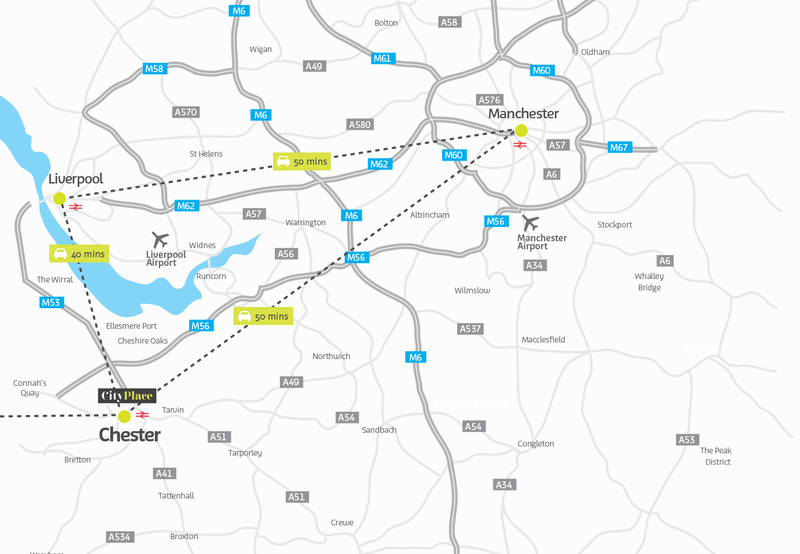 London’s main airports can be reached by plane from Manchester in approximately 55 minutes. 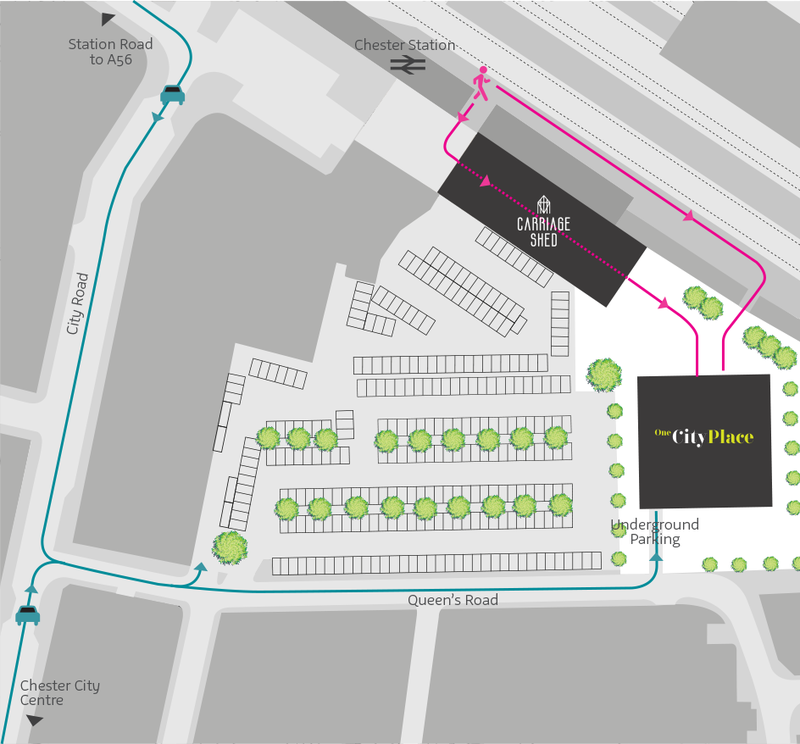 From the city centre, locals and visitors can also travel by bus to Wales, the surrounding countryside and Chester Zoo.